Over at The Economist (Boomer tip, open the link incognito if you have used up your free views for the month) they recently published a small plot based on the latest Global Innovation Index. It is pretty standard stuff with the ranks from the latest innovation index fitted against the GDP at Purchasing Power Parity. As they point out the countries that primarily rely on oil production to generate GDP are under-performing in the innovation department. Some of the countries have taken steps to liberalise their education systems and other social policies, but the effects have still not crystallised into higher rates of innovation. My intuition is that social policies are about as effective as a given population’s ability and willingness enact them. 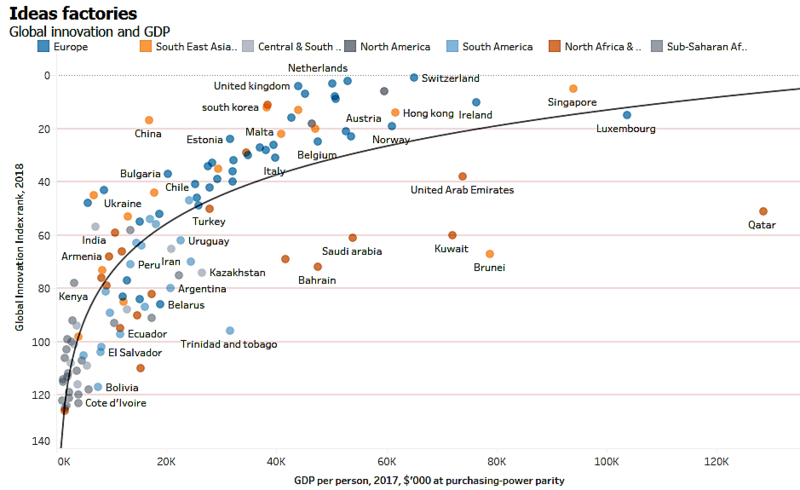 So to get a better understanding of the possible future trajectory of these countries rate of innovation we have to look at their human/cognitive capital. 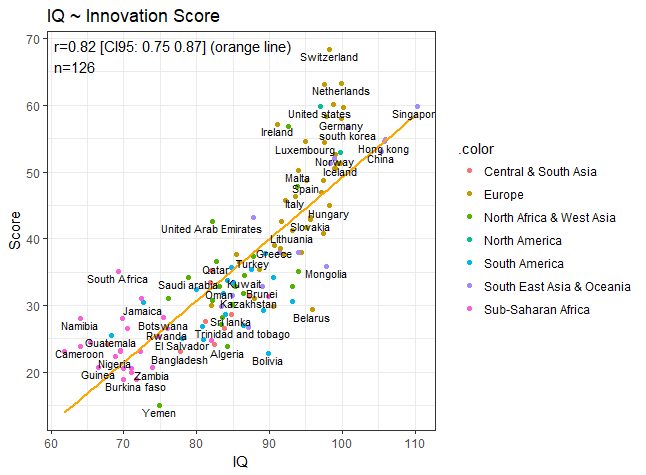 When plotting the innovation score against national IQ’s we get a pretty good fit. Here we can actually see the some of the oil producers, notably UAE, are actually over-performing slightly, so maybe they have been able to convert some of their hard cash into innovation. However, it remains to be seen whether or not they will continue climbing the ranks. When regressing the innovation score against both IQ and GDP we get an adjusted r2 > .7, which I think is quite good in social science terms. 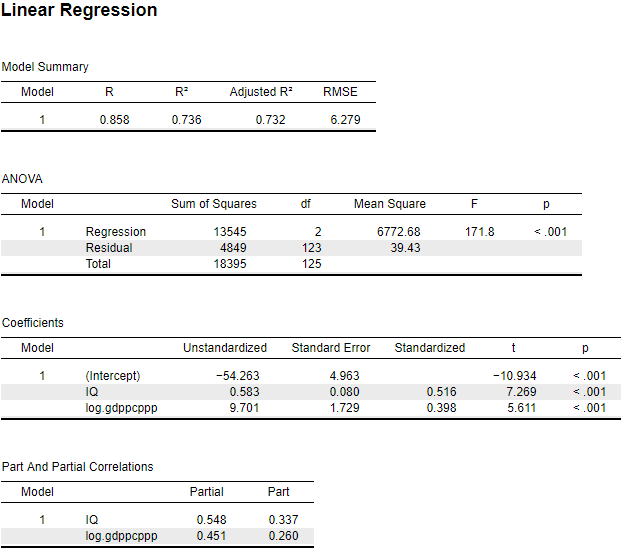 Pay attention to the partial and part correlations, this is the coefficients of the individual regressors “corrected” for each other so to speak. In this model IQ remains the stronger determinant. I don’t have any recent education or Flynn effect data to hand for the countries in question, but it would be very interesting to have a look at whether any potential gains in IQ over the last 20-30 years have helped increase the rate of innovation. PS. I’ll also publish the R code for this analysis to my Rpubs site.